As we wait for more news about RIM’s latest software, Blackberry 10, did you ever think if the company considered other plans? Ever wondered how close you were to owning a Blackberry that was running on another platform? 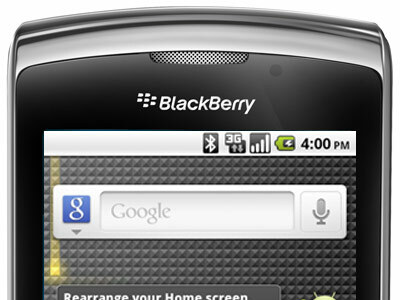 Today, we’ve got interesting insights straight from RIM CEO Thosten Heins which reveal that RIM almost joined the many phone manufacturers that have switched to Android OS. Heins recently spoke with the Telegraphwhere he discussed some of their plans for the BlackBerry, including the latest version of their software and the possibility of licensing it to other developers, and why he remains bullish about the company’s prospects and thinks that the company will survive. One interesting point of discussion is regarding the delays on BlackBerry 10 and why they decided to not just adopt Android. Heins’ views regarding Android and BlackBerry users is a very interesting one. Heins believes that the BlackBerry’s demographic are people who use their phones to conduct productive work-related activities rather than play games or consume media. It appears that Heins continues to think that the BlackBerry is for business people, a stubborn belief that analysts have repeatedly said has contributed to its decline. Would RIM’s ill fortunes have been reversed had they chosen to adopt Android? It’s interesting to speculate about what could have been. For now, we’ll have to wait and see what the BlackBerry 10 brings to the table and if RIM made the right decision to support it.